The European robin (Erithacus rubecula). 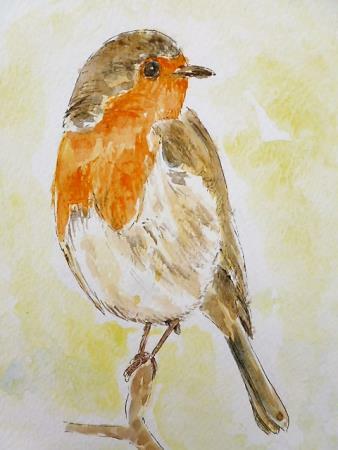 known simply as the robin or robin redbreast in the British Isles. is a small insectivorous passerine bird. specifically a chat. that was formerly classified as a member of the thrush family (Turdidae) but is now considered to be an Old World flycatcher.